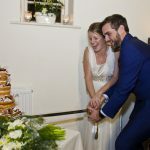 If you are looking for specialist Cornwall wedding catering to cover a wedding Cornwall or Devon, then you have come to the right place. 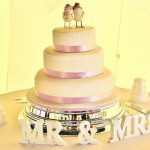 With more than 20 years experience in the industry, we are passionate about what we do and weddings is what we do best. Take a look at our Wedding Brochure 2015 / 2016 for a sample of the kind of things we can do. We know this is one of the most important days of your life and so we are here to make sure that it is everything you imagined and more, taking care of every last detail should you wish, so that you can relax and enjoy your special day. Our dedicated wedding planner can create a bespoke package personal to you. If total project management is required, we are able to cover all aspects of your day, including sourcing and liaising with venues, florists and photographers as well as providing full catering and licensed bars. Your menu will be carefully crafted by Amy our head chef, who will work closely with you to develop a unique menu that reflects your big day. Using fantastic locally-sourced Cornish produce, we can create a wedding menu to inspire you. If you are looking for dedicated and hardworking Cornwall wedding catering, then White Radish is the team for you. From grand banquets and stately home receptions, to festival-style weddings and rustic outdoor gatherings, as an esteemed Cornwall wedding catering service our vision and passion will bring your ideas to reality. Everyone still talks about the food and we always get asked about that fantastic cake. We would not have had our dream wedding in that beautiful location without the input, vision and help from you both. 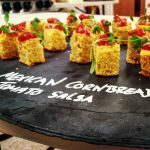 Cornwall wedding catering by White Radish was fantastic and exceeded all expectations. The food was sensational and their team were so attentive and professional, with the personal touch that is so hard to find. We were blessed to have had them as a part of our big day. They thought of everything, and our wedding was all the better for having them there. They are a truly remarkable duo.